Varmint X is designed specifically for the demands of predator and varmint hunters. 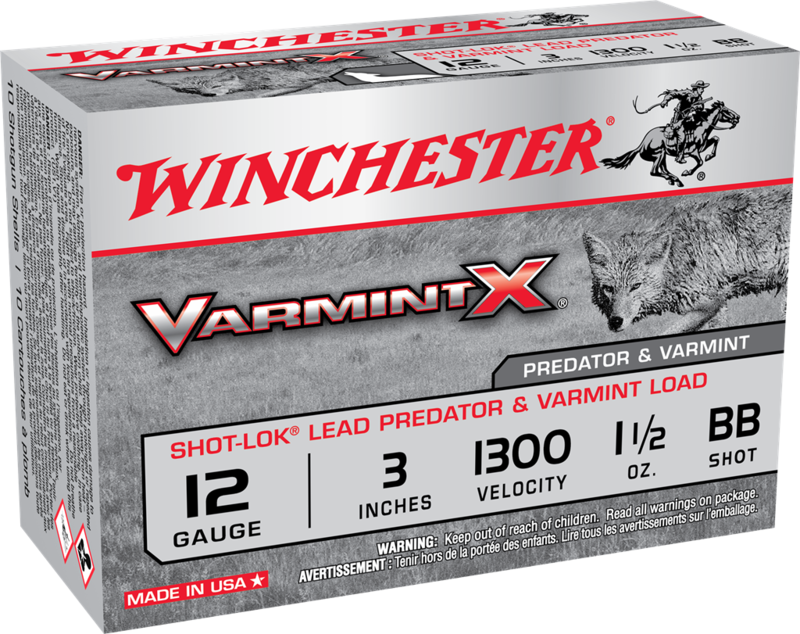 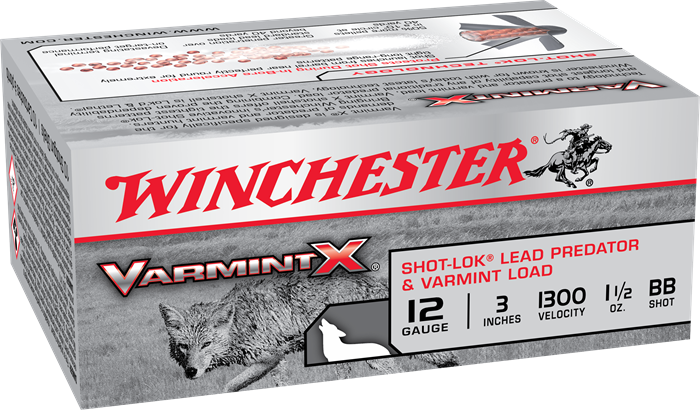 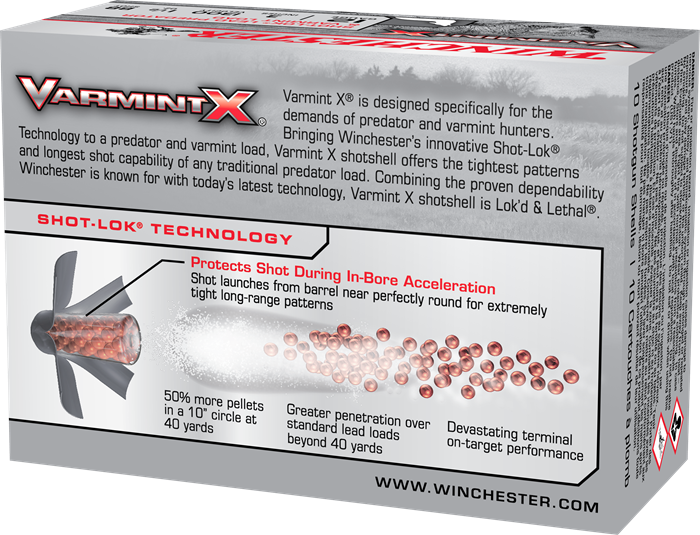 Bringing Winchester's innovative Shot-Lok Technology to a predator and varmint load, Varmint X shotshell offers the tightest patterns and longest shot capability of any traditional predator load. Combining the proven dependability Winchester is known for with today's latest technology, Varmint X shotshell is Lok'd & Lethal.